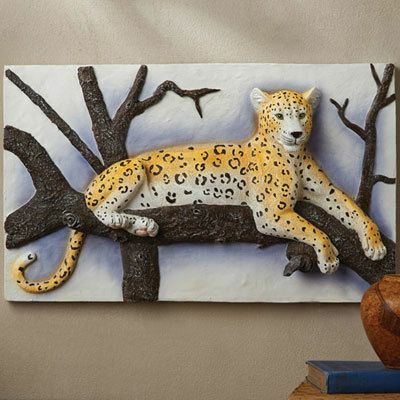 Exotic, realistic leopard relaxes on a branch, handsomely detailed in durable resin. Two keyhole hangers on back. 19"w, 3"d, 11½"h.